​I remember when I started golfing - I was of the opinion that golf was one easy sport if not the easiest. After all, how hard can it be to hit a ball around a course? I was going to be the next Tiger Woods in no time. Ha!! Dreams right? To my surprise, it wasn’t as easy. I would often miss the ball, and when I did hit it, it was anywhere but the center. Almost gave up until Jack (my colleague) introduced me to beginner irons. If you’re just starting out and want to know which clubs are perfectly suited for you, then continue reading this best golf irons for beginners or high handicappers review to find out. Well, I’m sure most beginners or high handicappers have had the same issue as I had. Your only intention is to hit the ball longer and straighter even on off-centre hits, but it rarely happens. Your shots are anything but straight. In this review, we will be going over the best game improvement irons you can purchase - some at a too good to be true price. Why should the price matter that much, you say? Well, for a beginner it would be totally unwise to invest in premium irons. They are harder to hit and very unforgiving. Beginner irons are very friendly and offer a lot of help. The game is already difficult as it is and you can use all the help you can get. However, we want you to have a slight feel of elite irons thus there’s a bit of a mix. ​Irons with a big clubface that are heavier towards the sole (bottom). These are cavity back irons and are quite forgiving. ​Shafts. If you are a slow swing speed player, purchase irons with more flex. Otherwise, you can choose stiff shaft irons. We have done a lengthy research and found the 5 top irons for beginners or high handicappers. I think we can change it up a bit today. Let’s start from the back and save the best for last. 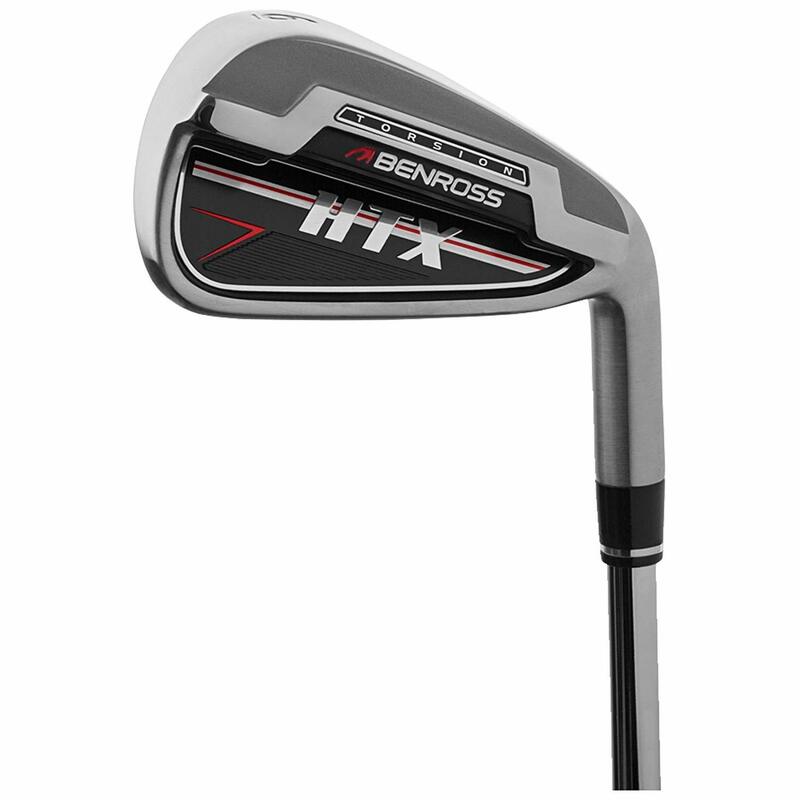 To kick us off at number 5 will be the Benross HTX which are surprisingly cheap for the quality they offer. Other than that they are great game improvement irons for beginners. The HTX does not feature a huge amount of tech, and it’s relatively cheap, but it can hold its own against its more expensive cousins. he only noticeable tech in the HTX is a “torsion bar” at the back which maximizes Moment of Inertia (MOI) and stability. It is a solid performer and quite consistent. 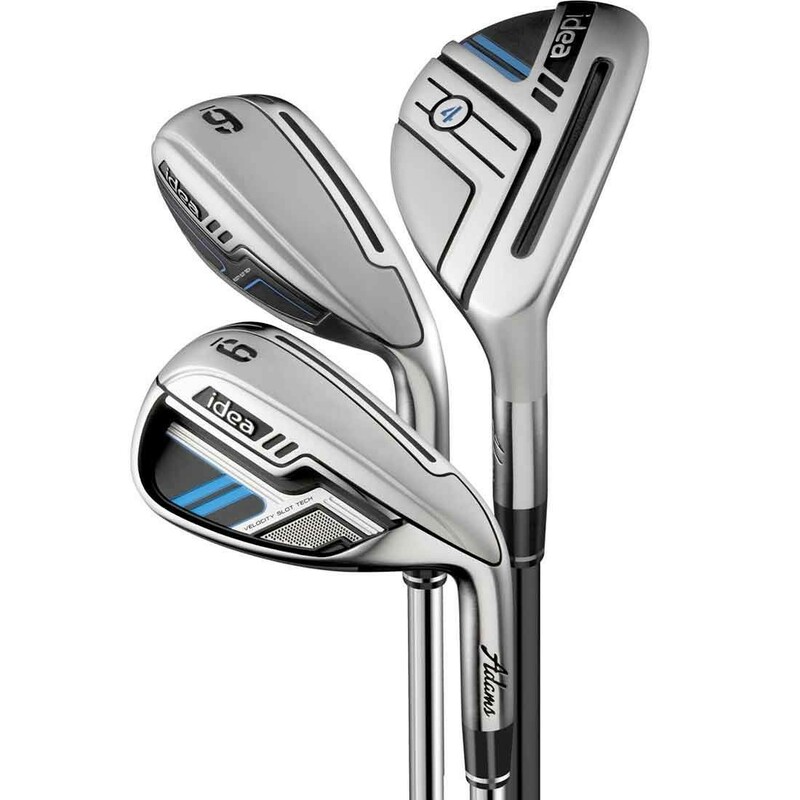 The Adams New Idea Hybrid Irons are super game improvement irons that maximize forgiveness and distance. The set is special for its patented ABC design. That means they can have three different irons in the same set. The set consists of hybrids to replace the long irons - transitional hybrids for the middle irons and the more traditional cavity back irons for scoring. We have to give it up for the R&D team for developing these killer irons. With the hybrids, they feature an upside down shaping (bigger at the bottom, smaller at the top) making it easier to hit the balls by increasing the surface area. The upside down shaping, because most mid to high handicappers hit the ball at the sole. The hybrids also have sole and crown velocity slots which add energy and increase distance on the shots. The crown slots flex inwards to give the iron more loft and lift the ball higher. With the transitional irons, they have a wider sole to lower the Center of Gravity (CG) and make it easier to launch the ball. They also have wrap around slots that add 25% more ball speed for toe shots. The slots in these irons create springier faces and deliver more distance. The Baffler XL comes 3rd on our list. These are some sick irons but not nearly as good as the first two. They are ideal for beginners since they are easy playing, have good distance, and are surprisingly accurate. They are designed for players seeking maximum game improvement and forgiveness. Beginners fall in this category, right? Though the Baffler has a large club head, the XL does not mean “extra-large.” It is Roman for 40. The XL was to commemorate the 40th anniversary of the Baffler. Cobra Baffler XL features a low CG courtesy of its lower profile shape. It thus delivers high flight of any lie. However, the most outstanding feature is the eponymous baffler rails. These are meant to improve turf interaction. They go a long way in helping beginners. It also has a deep undercut cavity which creates high MOI resulting in consistency. The cavity is filled with a plastic badge which in my opinion helps tune the sound and feel. ​These irons have a standard true temper shaft which makes them easy to swing back and through. The grips are Lamkin R.E.L which are very comfortable. Their flexible faces help create more ball velocity off the club head. The RSI came a close second to our leader and gave it a running for its money as the best game improvement iron. Taylormade who are better known for irons targeting elite players did a commendable job with the RSI. It is truly an iron for higher handicap players. 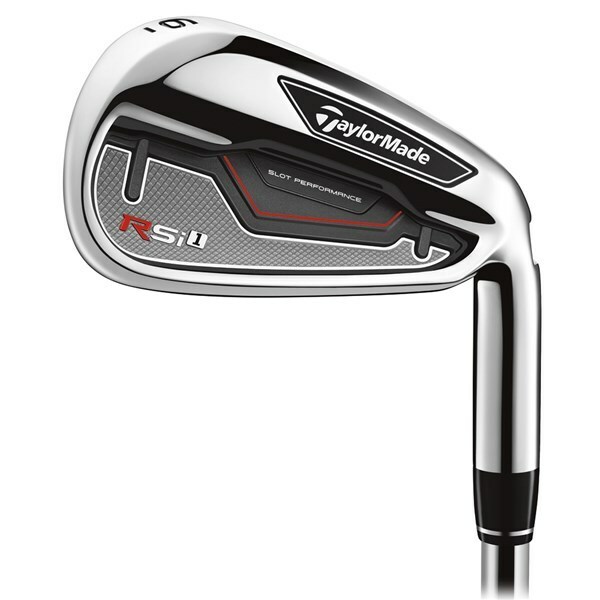 The RS1 is the most forgiving iron in the RS family courtesy to its cutting edge tech. It features a deep undercut cavity, inverted cone technology, and through slots. These technologies are not groundbreaking and can be found on any other classic iron, right? Well, Taylormade has gone a step further and added face slots that act to increase ball speeds on off-centre hits. They also result in more consistency. Face slots are no easy feat. They act like speed pockets just that they are located on the face. They are a result of research by the R&D team at Taylormade. They discovered that 76% of all shots by beginners were mishits. Thus, they developed the 3 model feature slots on either side of the face to maintain ball speed and generate more distance on off-centre hits. The face slots are combined with the speed pockets to increase launch angle and ball speed. One word to describe these irons. EPIC. 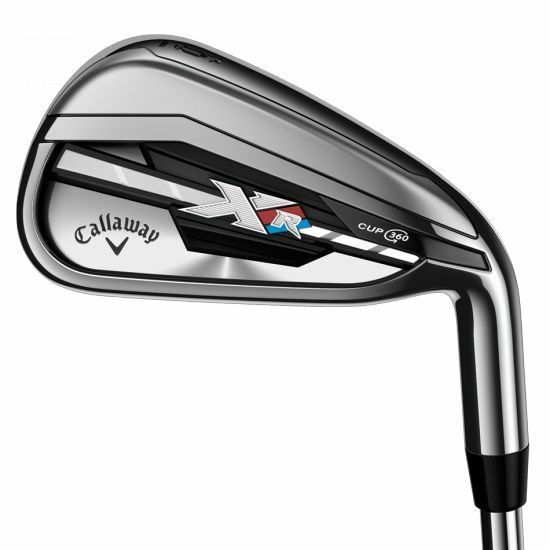 Callaway has always been a leader in golf club manufacturing, but they sure outdid themselves with the XR. Meant for the mid and high handicappers, but also ideal for elite players. With the XR, Callaway promises more distance and forgiveness and boy don’t they deliver. The XR will add 12 more yards to your shot. This extra distance is all thanks to their 360 cup face that increase the ball speed by allowing the entire face to flex at impact. The face is made stronger by preheating. This technique allows them to make the faces thinner and more flexible. If you are a beginner or high handicapper, looking for quality, class, and are willing to spend a few bucks, then these are the irons for you. They are the ultimate best irons for beginners. To increase forgiveness, they feature a cavity back which stretches the weights to the perimeter. Perimeter weighting enlarges the sweet spot giving you straighter shots even on off-center shots. The looks are nothing short of outstanding. The XR inspires confidence at address and oozes of class. It features a double white bottom groove for better alignment, a thick top line, and a brilliant finish. Its internal standing wave technology moves the CG lower and forward and increases the MOI. 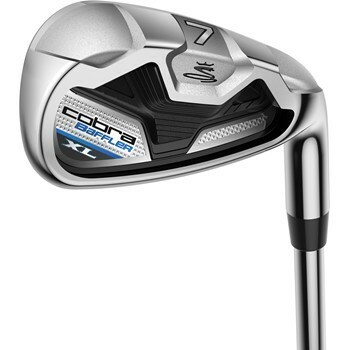 Some guys have stated that misses with the XR fly further than many irons good shots. It is that good. See full review of the iron here. All the irons on this list are great game improvers. It was very difficult to decide on the position each would take. Remember that irons are not the only thing you should be looking for to help your game, you can also look for drivers for beginners, the best golf balls for the average golfer, or even a set of golf clubs for beginners. We created this list considering the price and the performance of the irons. They are all great performers with massive forgiveness and great distance. They are all also moderately priced meaning they are in reach of the average Joe. The above are the best irons for beginners and high handicappers. Leave us a comment below on what you thought about the article. You can also share for sharing is caring.